After gaining more powers over the NHS in a commons’ vote last night, Jeremy Hunt has outlined plans to make the health service more efficient and streamlined by closing every hospital. 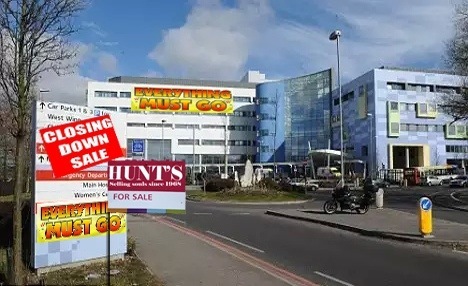 Under coalition plans, closed hospitals can either be purchased by private healthcare providers, knocked down for housing, or turned into Poundlands. The health secretary was forced to defend the move. “The NHS costs the taxpayers billions of pounds every year,” he argued. Concerns have been raised about the small matter of the coalition providing healthcare and a corridor for poor people to die in. However Mr Hunt explained there will be options for those that can’t afford private insurance. “We will take the example from the education sector and let people set up their own ‘free hospitals’,” he said. “It’s a great system that lies outside of government control, which means they can be set up without any real doctors. Despite widespread condemnation of the plans, the health secretary has said he feels he has the full backing of the soon-to-be-redundant nurses in the hospitals.